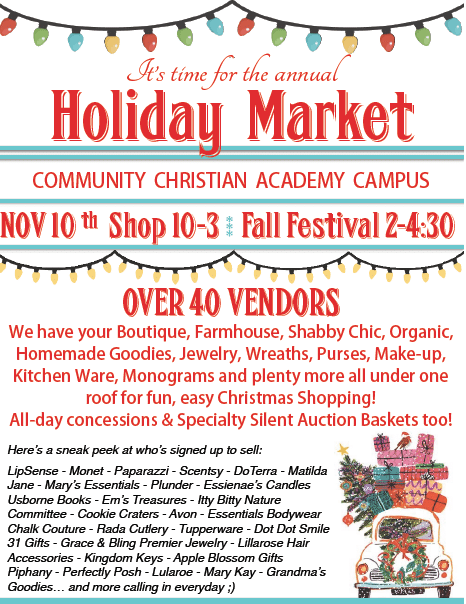 Come Join Us at CCA’s Holiday Market November 10! 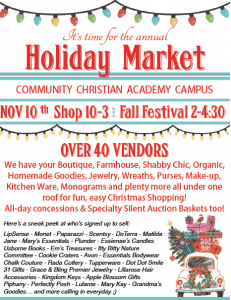 CCA will be having a Holiday Market on Saturday, November 10 from 10:00-3:00. We have over 40 vendors who have confirmed for the day! Come out and make one stop to shop for all your holiday needs. Mark your calendars now and don’t miss this perfect shopping opportunity!